Myth Busted: If drinking a glass of milk straight away from cow appeals to you, you’re not alone. You can surely drink raw milk, but that might put you at risk for several diseases that are caused by bacteria. These kinds of bacteria are normally killed by pasteurization which is a process in which raw milk is treated with mild heat to kill all the microorganisms and also eliminate pathogens present in it. Myth Busted: We are always told that we get calcium from cow’s milk and how it’s nice, and make our bones stronger and healthy. This is the most absurd myth about cow’s milk. According to the several types of research, milk actually depletes calcium from bones and also increases the risk of fracture. A survey estimated that the countries with the highest rate of osteoporosis are the one where people drink the most milk. Myth Busted: Like it or not but milk is not the best source of calcium. This is a common misconception that milk is the rich source of calcium which is not quite true. It may be hard to believe that calcium contained in cow’s milk is barely absorbable to the human body. If you take a milk-free diet, don’t worry. It won’t leave you calcium-deprived. There are various other food items that are rich in calcium. Some of them include kale, broccoli, and spinach. Myth Busted: This is also one of the common myths. According to a survey, milk and the dairy products are the top sources of artery-clogging fat in the American diet. 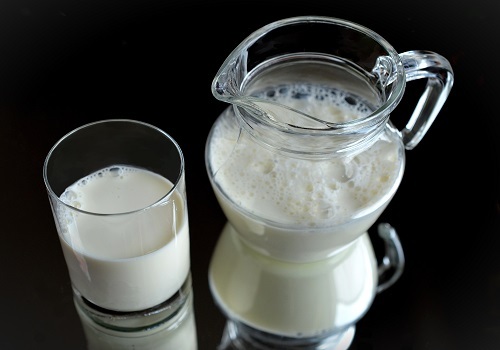 The products of milk contain dietary cholesterol. Myth Busted: Advertisers believe that drinking milk can slim you down, studies show that dairy products offer zero benefits when it comes to weight control. One evidence also found that dairy products might lead to weight gain. Myth Busted: The milk of cows is the perfect food for their baby calves, but it’s far from a perfect food for human beings. There are more than 60 percent of people who are lactose intolerant which means they can suffer from some uncomfortable side effects like cramping, bloating, as well as, diarrhea if they consume milk. Even the regular consumption of dairy products can also lead to lung cancer, prostate cancer, as well as ovarian cancer. Myth Busted: Just like any other protein-rich food which has been derived from animals, milk also has a potential renal acid load(RAL) that triggers a protective biological reaction to help neutralize all the damaging acidic protein before it even reaches the kidney. Our body is designed for survival, so it sacrifices the density of the body to protect the kidneys and urinary tract. No one can dispute the fact that cow’s milk is an excellent food source only if taken in moderation. If you’ve been believing these myths until now, it is high time to debunk the myths. Share this with your friends and family to create awareness. Are You Really Living A Healthy Lifestyle?? ?